J C Penney Company Inc. (NYSE: JCP) stock surged jumped 8% after the retailer announced that it is opening toy shops in all of its brick-and-mortar locations with a significantly expanded assortment available at JCPenney.com. The company reported that the collection will be strategically adjacent to the Disney (NYSE: DIS) Collection inside JCPenney, the shops feature an extensive selection of toys for kids of all ages including dolls, action figures, racing cars, arts and crafts, board games and learning sets from leading brands such as Hasbro (NASDAQ: HAS), Mattel (NASDAQ: MAT), Playmobil® and Fisher Price®, to name a few. "JCPenney has a nostalgic history of selling sought-after toys in our early Christmas catalogs, so we brought toys back last holiday season to see if they would resonate once again. We were extremely pleased by customer response and confidently made the decision to grow our toy assortment in stores and at JCPenney.com. 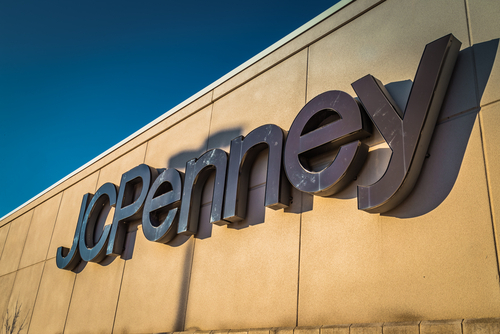 We know that shoppers buy toys year-round and by creating a fun, inviting toy shop, with some of the biggest brands and hottest products, we will entice families to shop and spend more at JCPenney," said John Tighe, executive vice president and chief merchant for JCPenney. "Toys are an exciting product category for JCPenney and an in-store attraction that will drive traffic and sales as we continue to focus on increasing revenue per customer."